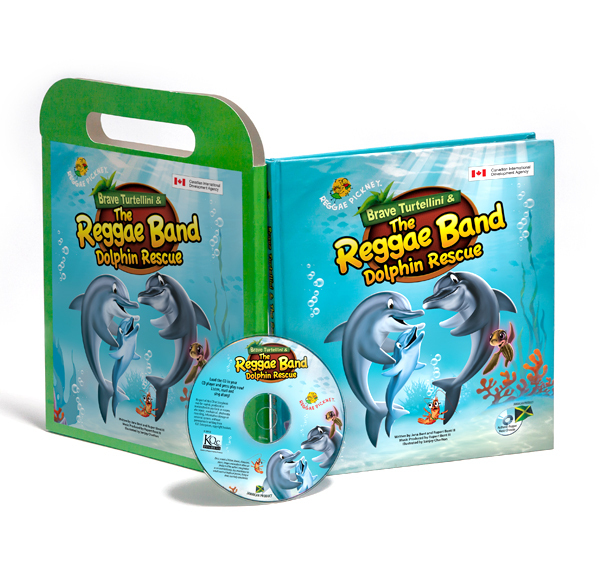 The Reggae Band Rescues is the first book of Sanjay Charlton who did all the illustrations, graphics, design and layouts. 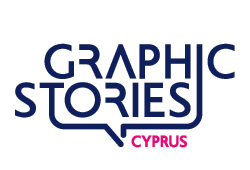 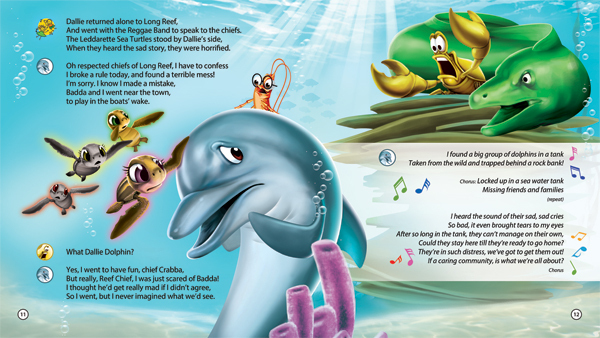 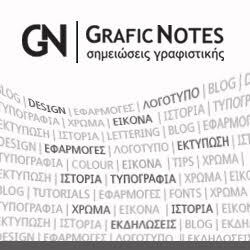 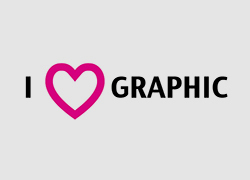 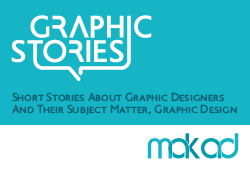 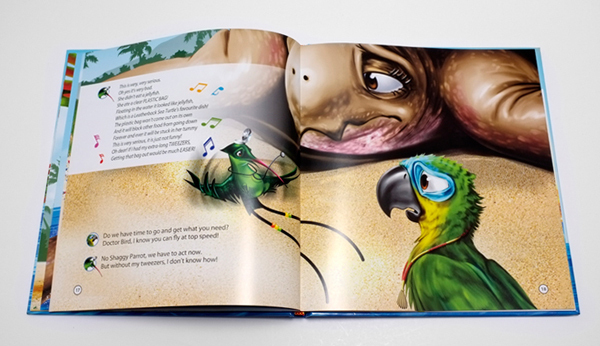 It’s a children’s book targeted at 2-8 year olds, hardcover, fully illustrated storybook with a CD that tells the story through music and narration. 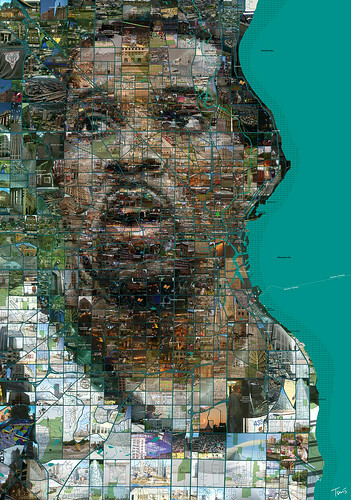 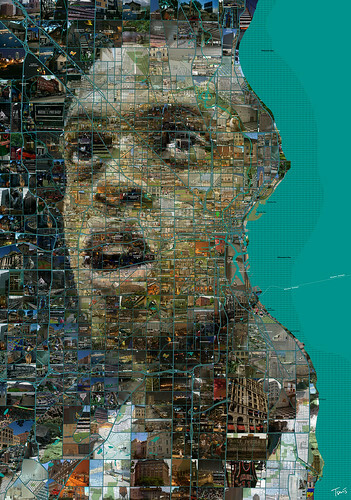 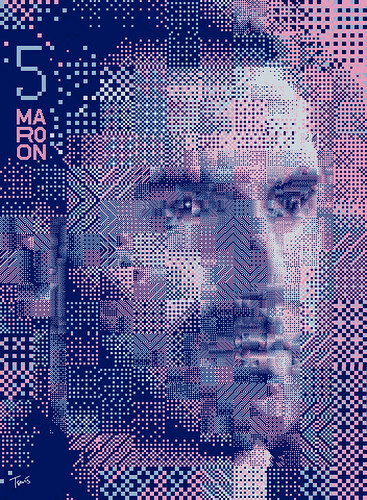 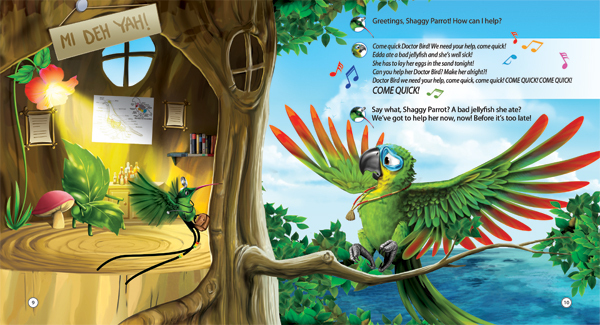 Featuring the voice of international reggae artist Shaggy. 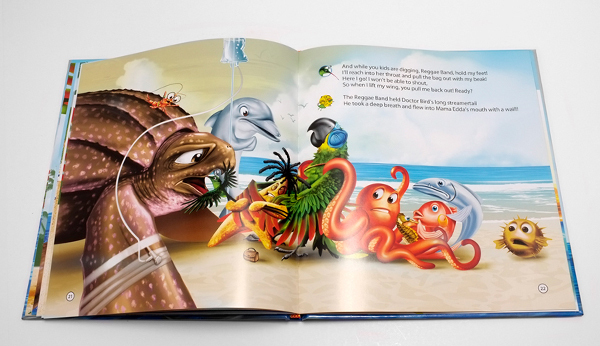 It also comes in a handy travel case for kids. 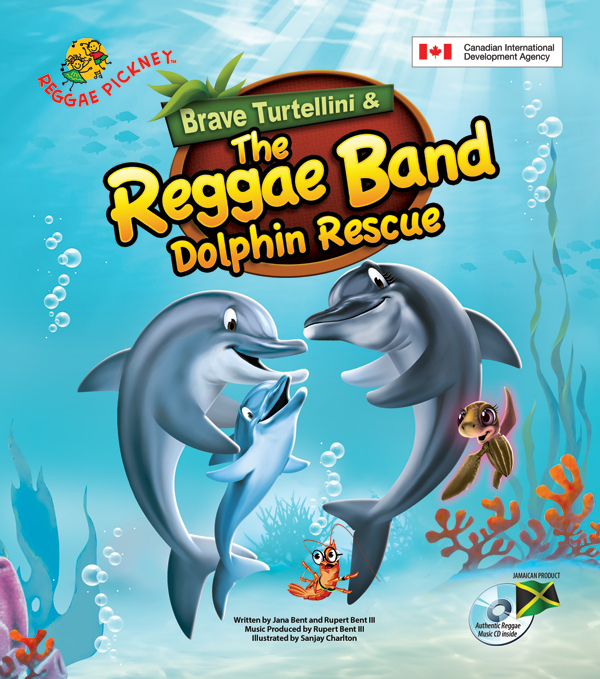 Later on, the Reggae Band has another rescue to make! 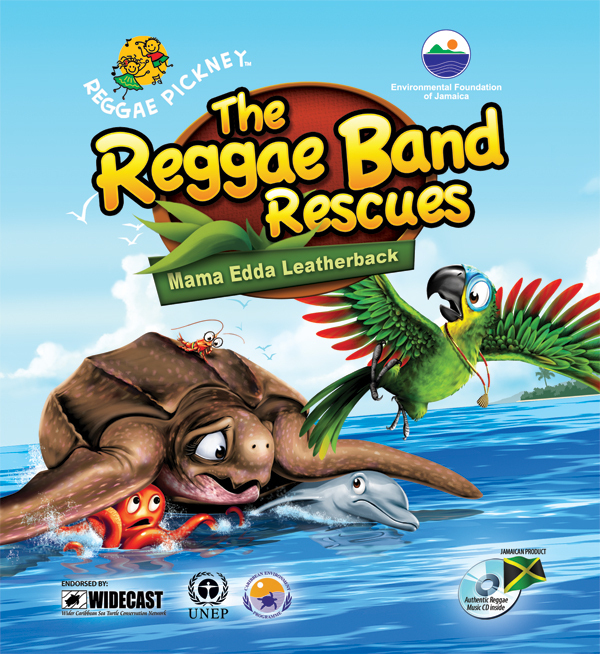 making the The Reggae Band Rescues a wonderful series. 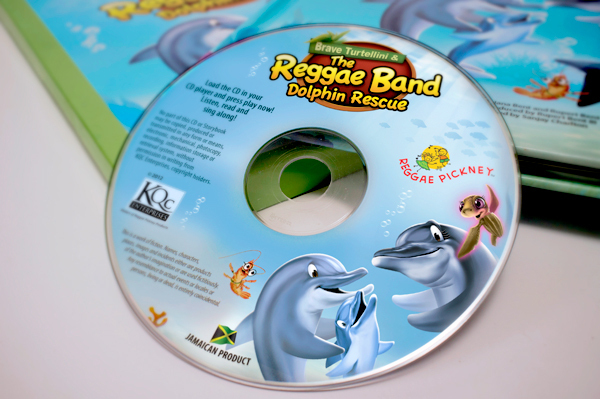 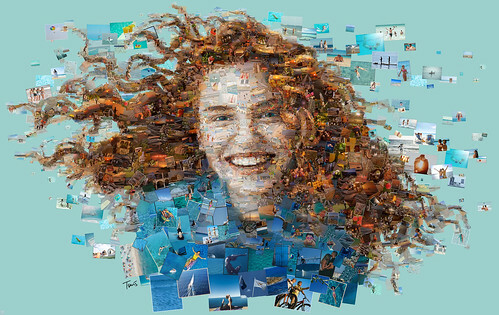 This time it’s The Reggae Band Dolphin Rescue (see images below). 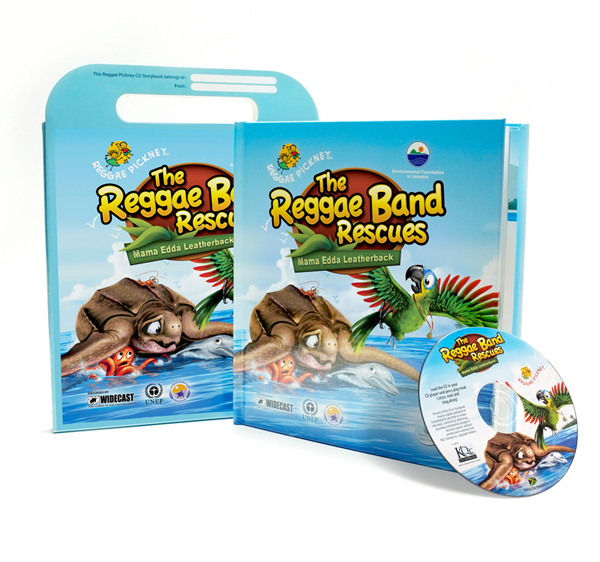 The Reggae Band has another rescue to make! 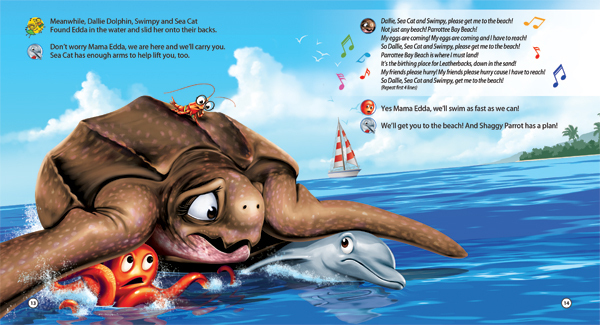 Dillie and Delilah Dolphin are caught in a tank! 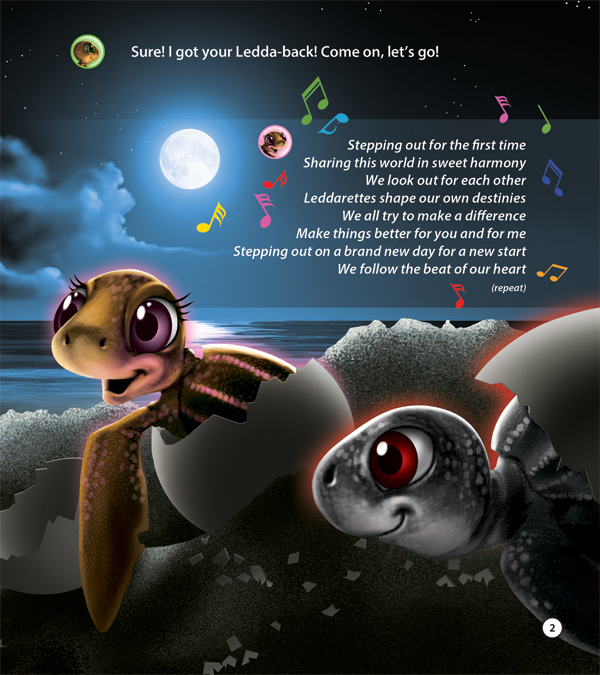 A baby Sea Turtle tries to get in a few words, But will the Reef Chiefs give her a chance to be heard? 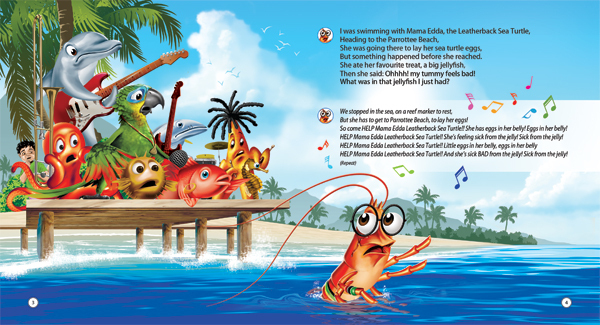 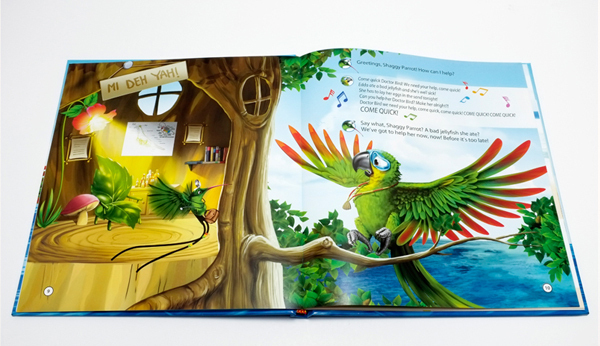 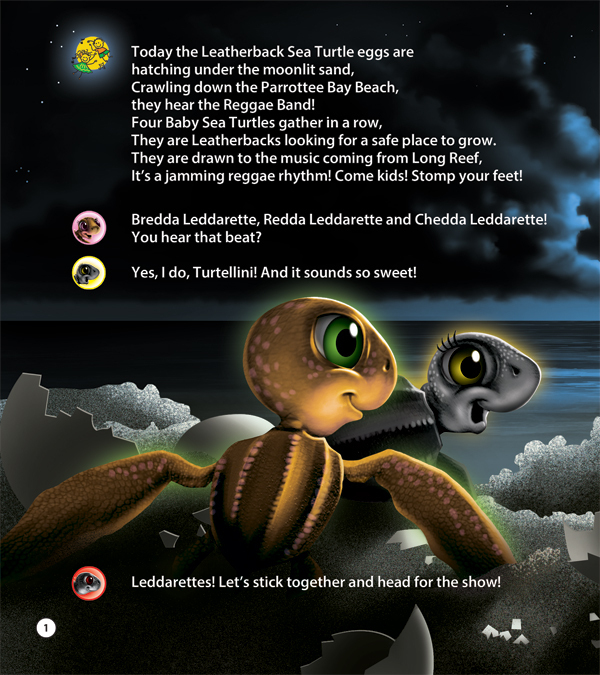 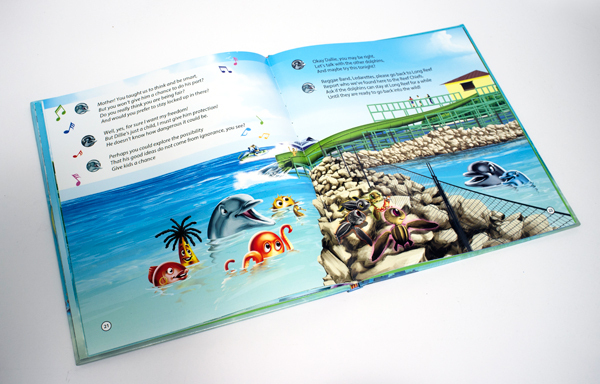 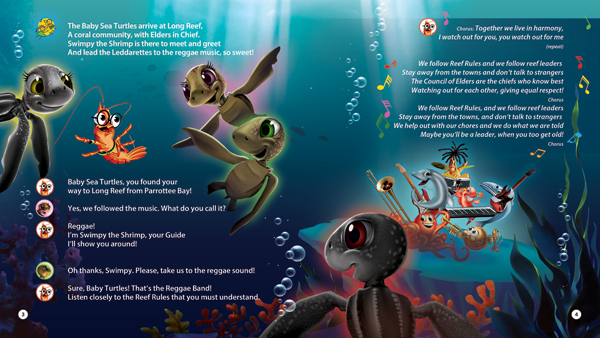 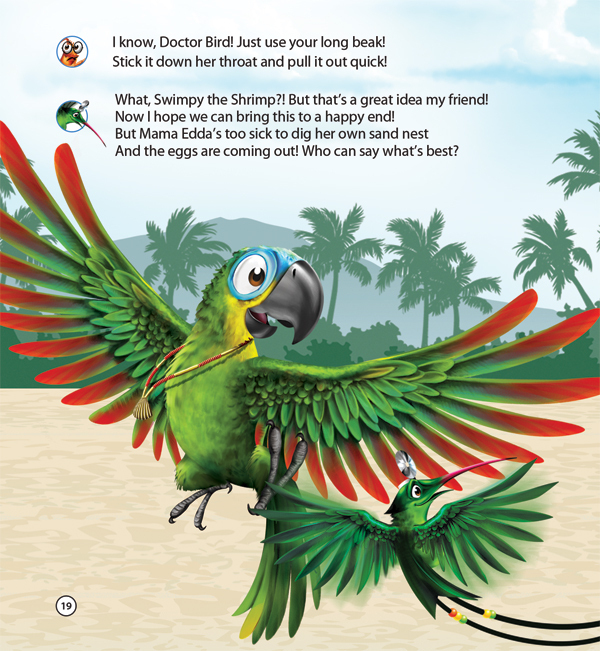 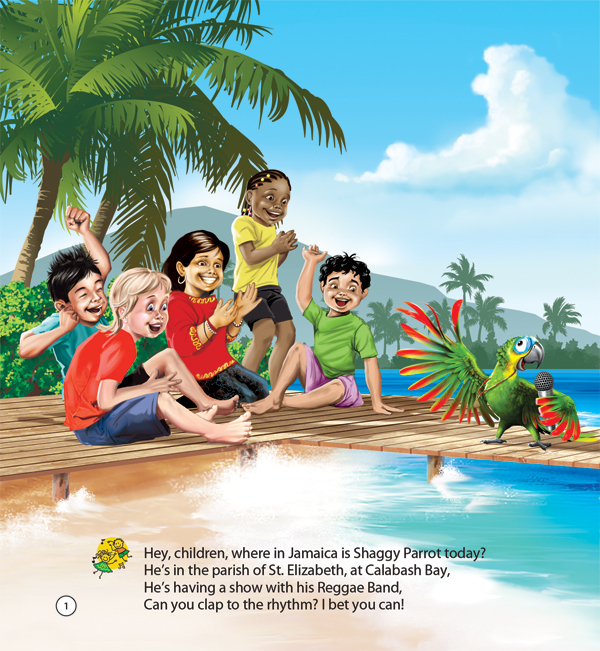 Join the Turtle hatchlings at Parrottee Bay, Read along, load the CD and then press play!